MADISON, Wis. – After years of wearing nothing but white hats, Big Tech added gray and even a bit of black to its wardrobe in 2018. Leaders of social media giants found themselves apologizing to Congress over the infiltration of their platforms by foreign hackers bent on spreading “fake news.” The markets fell amid fears the party was over for major tech stocks after years of run-up. Cyber-security threats grew in number and sophistication. As 2019 opens, those trends and more will continue to garner headlines nationally as the technology sector goes through a natural maturation process. From its market lows of 2009 through much of 2018, tech was a rambunctious youngster that romped through one success story after another. The swift sell-off of late 2018 turned tech – especially Big Tech – into more of a moody adolescent, but one eager to learn from its mistakes. Many analysts predict the general decline in the value of tech stocks will correct itself in 2019 as buyers turned back to companies such as Amazon, Apple, Alibaba, Adobe, Salesforce, Twitter and even Facebook. Meanwhile, a host of younger companies are poised to crack into the club as the pace of innovation quickens outside the traditional strongholds of Boston, New York and California’s Silicon Valley. Wisconsin is one such hotspot, thanks to a combination of factors. The academic research and development landscape remains strong, with more than $1.5 billion spent in 2017 alone. That’s the latest year for which figures are available. Talented workers can be found among the graduates of Wisconsin’s public and private colleges, universities and technical colleges. The cost of doing business is lower, especially compared to the Silicon Valley, and employees can find affordable places to live without spending much of their lives in a car. Some of Wisconsin’s most iconic tech companies enjoyed strong years in 2018 and show few signs of slowing down. Verona-based Epic remains the nation’s market leader in electronic health records and is venturing into global markets with success. Promega is expanding its U.S. and global business in biotechnology assays, reagents and DNA analysis, among other products, and adding to its Fitchburg campus. Companies such as Rockwell Automation are poised to become leaders in Industry 4.0 as use of data and artificial intelligence transform manufacturing. Spun off from its parent in mid-2018, GE Healthcare has retained a strong Wisconsin presence with 6,000 employees in Milwaukee, Waukesha and Madison. It plans to transition some work from a Maryland facility to Wisconsin. Madison’s Exact Sciences is also expanding after having landed in Wisconsin as a two-person company a decade ago. It has about 1,000 workers today. While it was a point of debate during the campaign for governor, Foxconn Technology Group is well on its way to building a state-of-the-art campus in Racine County and has announced satellites statewide. 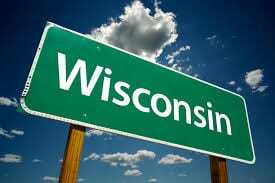 Its long-term effect on technology in Wisconsin stands to be significant. Angel and venture capitalists remain intrigued by what Wisconsin offers. In 2016 and 2017, more than $500 million in angel and venture capital found its way into young state companies. Led by a record second quarter, the angel and venture dollar total for 2018 is almost certain to set a new mark once books are closed. The state of Wisconsin’s support for young companies also appears on the ascent. Companies getting assistance from four major state entrepreneurship programs generated about $505 million in new capital last year. That’s up from $385 million in 2016 and $328 million in 2015, according to a release from the Wisconsin Economic Development Corp. The WEDC report summarized job creation numbers and economic effect of four programs: Capital Catalyst, Qualified New Business Venture, Seed Accelerator and Technology Development Loans. Some performed better than others, but the sharp rise in revenue demonstrates the effort is paying off through increased economic activity. Much work remains to be done. Tech companies can be found outside the state’s largest metropolitan areas but not enough. Better broadband connections will help retain and attract people and companies to rural Wisconsin. Attracting and retaining workers is a priority. Promising early-stage investments must be followed by later-stage dollars to yield more jobs. Tech took some lumps in 2018, and 2019 remains sketchy for the economy at large if trade wars and White House chaos continues. The foundation is there, however, for continued growth in Wisconsin’s tech sectors.